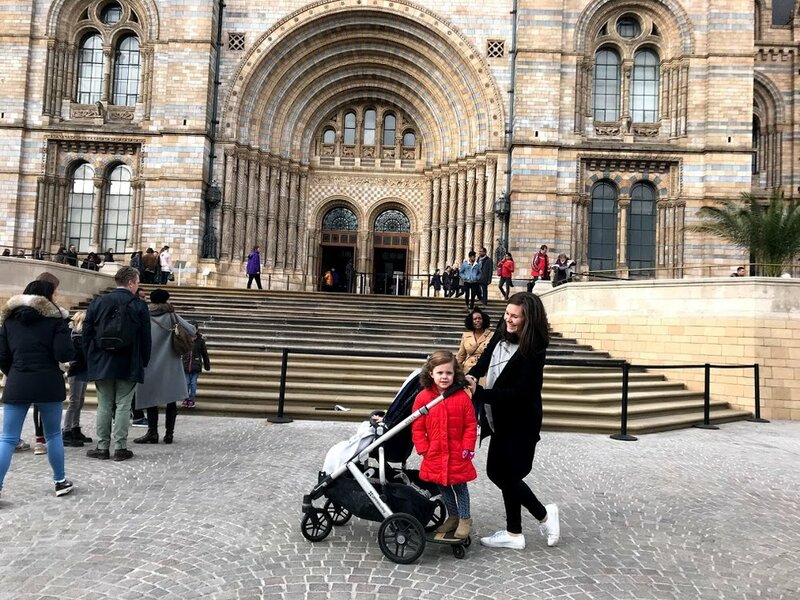 In conjunction with my other post on The British Museum, I've decided to walk you through the best of London's museums and create an easy to follow series to help your trip planning. 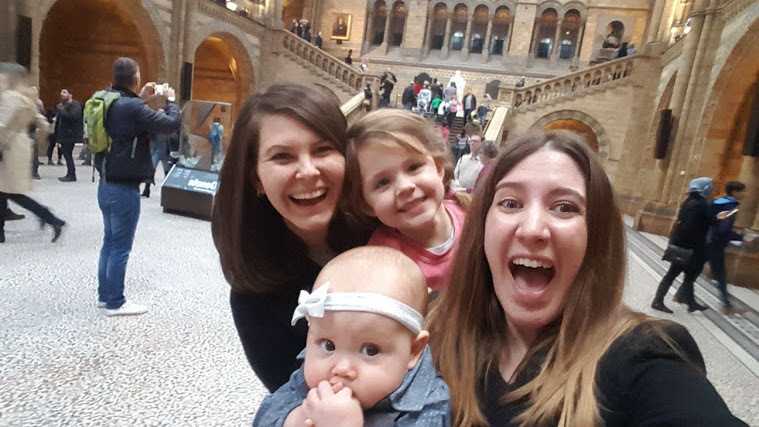 The next up is another of London's greatest museums: The Natural History Museum! THE BLUE WHALE | When you walk into the Natural History Museum, there is a huge Blue Whale exhibit in Hintze Hall to greet visitors. It is a massive skeleton that hangs from the ceiling, and it is incredible. Some fast facts about the Blue Whale: The blue whale is the largest animal to have ever lived. With each gulp, it can take in up to 457,000 calories. They can weigh up to 180 tonnes, making them heavier than even the largest dinosaurs. The Museum’s Blue Whale is 25 metres long- thats 75 feet, American friends. You won’t want to miss this exhibit and as big as it is, I don't think you will! WHERE TO FIND IT | Blue Zone, nearest entrance is the main entrance off Cromwell Road. DINOSAURS | The Natural History Museum’s dinosaurs are world-famous. This exhibit includes the first-ever fossils found from a Tyrannosaurus Rex, the skull of a Triceratops, and the Baryonx. With all the dinosaurs around, this is hugely kid-friendly. Stop at this exhibit to learn more about these prehistoric giants and why they died out. WHERE TO FIND IT | Blue Zone on the Ground Floor, next to the Hintze Hall. MAMMALS | This exhibit has cases and cases of mammals and it is truly fascinating to see the diversity of it all! Some of the highlights of this exhibit include pandas, bears, horses, big cats and dogs, and the extinct Diprotodon from Australia. The exhibit compares them to humans and shows you how truly diverse life is! WHERE TO FIND IT | Blue Zone, nearest entrance is Cromwell Road. BIRDS | This section is both incredible and a bit creepy. All of these birds are pinned down so that you can see the anatomy of their wings and bodies, as well as the way that their feathers have grown. My favorite is the hummingbird cabinet. It is literally an array of hundreds of hummingbirds. The Birds exhibit also includes cases of the extinct Dodo Bird, blackbirds, storm petrels, passenger pigeons, and a selection of eggs from the giant elephant bird. WHERE TO FIND IT | Green Zone, the nearest entrance is the Cromwell Road. CREEPY CRAWLIES | This exhibit lives up to its name; it is full of creepy things that crawl! The exhibit includes a live ant colony, a life-size model of a termite mound, an interactive game to build a spider, a cabinet of crustaceans, and more locusts, scorpions, termites, and thousands more Your kids will love it! Try not to hurry past, as it really is a fascinating exhibit! WHERE TO FIND IT | Green Zone, nearest entrance is Cromwell Road. HUMAN BIOLOGY | If you’ve had enough of all the animals and other mammals, this gallery is a huge resource to find out more about your own body. From learning about how hormones affect our body to how our brain and organs work together, this gallery is incredible. Be sure to see the giant cell model and the specimen of DNA. DARWIN CENTRE'S COCOON | This centre is super unique because you can see the museum’s scientists in action behind glass walls. It also takes you through how scientists collect and care for all of their specimens. Exhibits include specimens of beetles, butterflies, plants, tarantulas, and herbs. It opened in 2009, so it’s pretty new. Definitely worth checking out! WHERE TO FIND IT | Darwin Centre in the Orange Zone, nearest entrance is Cromwell Road. 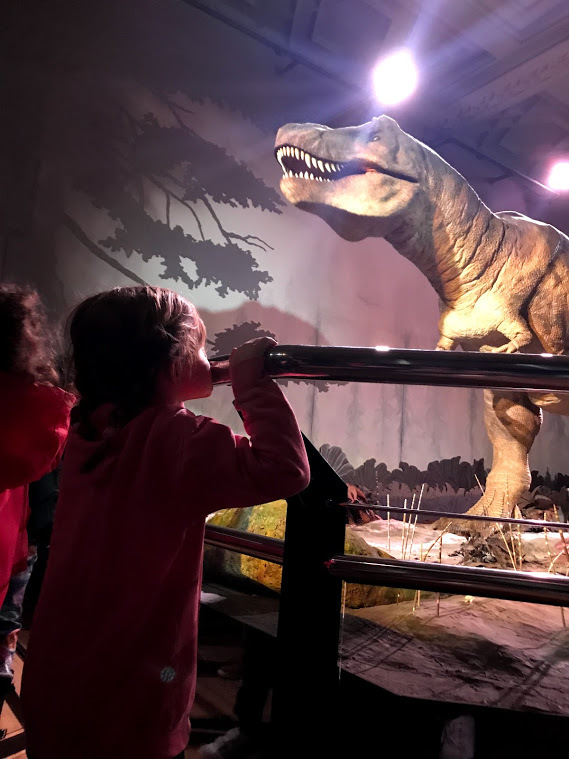 FUN EVENTS | The museum holds fun events, including a nighttime event called “DinoSnore”, where kids aged 7-11 can participate in a night of making dinosaur T-shirts, explore a torch-lit trail, and attend a science show put on by a Museum scientist. They do activities until midnight and then set up a sleeping area. Breakfast is served in the morning before they leave. Bookings are required. See their website for more details. The museum also holds an “Airbnb Base Camp”, which is another nighttime event for kids with a special area for sleepovers in the Museum. The sleeping area is next to a 1,300 year old Sequoia tree, overlooking the Blue Whale exhibit. In addition to all of this, there are movie nights, “DinoSnore” for adults, crime scene live events, and other activities for the night, where you can see the museum’s exhibits come alive from a new perspective. COFFEE | And of course, no trip out in London is complete without a stop for a coffee and a pastry. 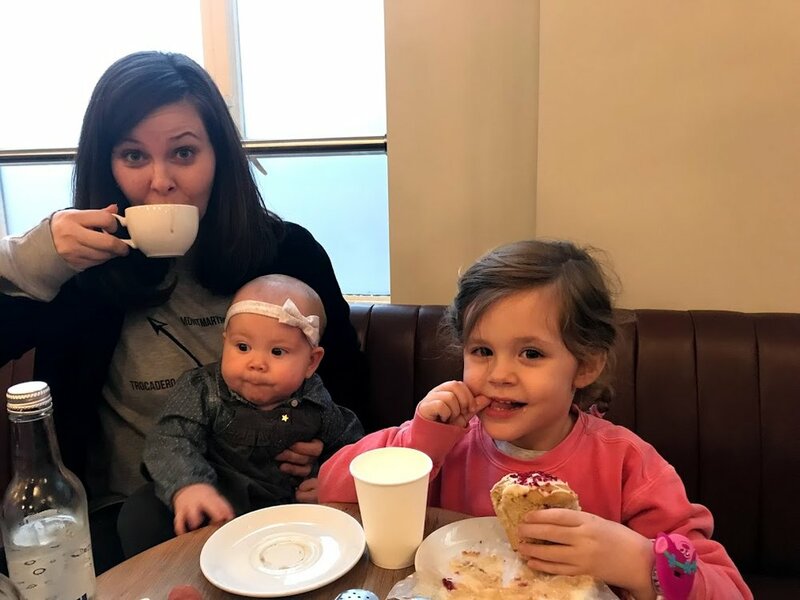 They have some good cafes and bookshops- my favorite is the T. Rex Grill (they have cheap kids meals and very decent adult food), The Coffee House, and the Central Cafe! There are three entrances: Cromwell Road, Queen’s Gate, and Exhibition Road. However, be warned: the main entrance on Cromwell Road has crazy long lines (especially on weekends) so skip the long queue and go around the corner on Exhibition Road for a shorter line and a faster entrance. Queen’s Gate is also good, but can be periodically closed. I hope you enjoy your visit to the Natural History Museum! Find more of my favorite London highlights here.